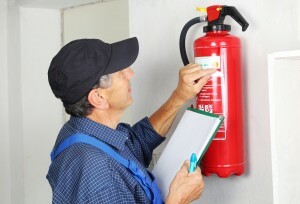 All Florida Fire is proud to serve the Clearwater region with professional fire extinguisher service. Since 1999, our family-owned business has worked hard to make sure businesses around Clearwater and the greater Tampa area are able to keep their fire systems properly maintained and certified. Whether you need a simple fire extinguisher inspection or an examination of your entire fire suppression system, our team is ready to assist. When you work with All Florida Fire Equipment, you can be sure you are teaming with a trusted and reliable local business. We are certified as a small business through the City of Tampa, and we are fully insured, licensed, and bonded. If you would like to verify our credentials prior to contacting us for service, our license numbers are #585272-0007-2005 and #292428-0001-1993. The list of services that is offered by All Florida Fire goes well beyond the basic yearly fire extinguisher inspection. We allow can provide hood cleaning, fire extinguisher recharge, and more. Our team is already charged with caring for the fire systems at a number of high profile locations around the city of Tampa, and we would love to bring our experience and expertise to your Clearwater location. Beyond our knowledge in the world of fire extinguisher service, you should also give strong consideration to All Florida Fire simply because we will not try to lock you into a contract at any time. We believe that our service and our prices should stand for themselves, so we won’t try to trap you in a long-term agreement simply to service your fire extinguishers and other systems. Thank you for taking a moment to learn a little bit about All Florida Fire Equipment. If you would like a no-obligation quote on our fire extinguisher service in Clearwater, please contact us today at 727-525-5950. From inspecting a fire suppression system to fire extinguisher recharging, hood cleaning and more, we can get the job done. Our friendly team will be happy to speak with you, so don’t wait any longer to get in touch!